Over the last 5 years, Facebook stock (Nasdaq: FB) increased from from $31.91 to $94.97 (using closing prices available on Yahoo! Finance). That’s an increase of 198%. During the same period, the overall Nasdaq composite increased 67%. Why did Facebook perform so well? 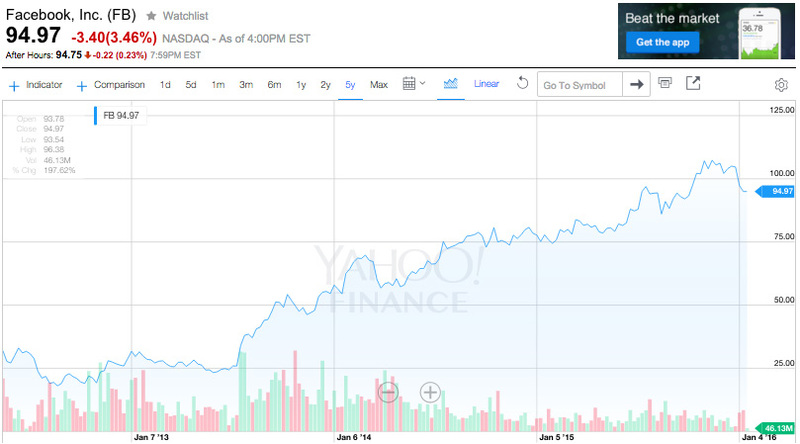 How did Facebook outperform the broader Nasdaq, comprised of tech-centric companies? I’ll tell you how: Facebook advertising emerged as one of the most scalable and powerful digital marketing ecosystems around. Moreover, Facebook advertising forged the path for incredibly successful mobile advertising, a primary focus of digital marketers everywhere. A few years ago, I wrote a post here on PPC Ian about How I Drove 3,156 Facebook Likes For $0.31 Each. Two weeks ago, I wrote a post about How I Drove 24,747 Facebook Likes For $0.04 Each. Over the years, I have evolved and improved as a marketer. 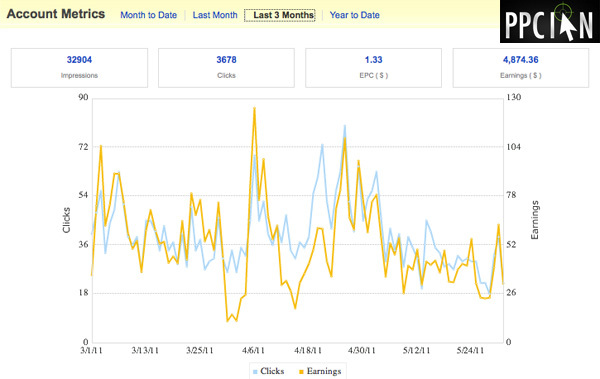 That being said, my increased performance is also a function of the evolution of Facebook as an advertising platform. Facebook advertising works better than ever and savvy marketers are doubling down on their Facebook advertising investment. Are you constantly evolving as a Facebook marketer? I know I am! 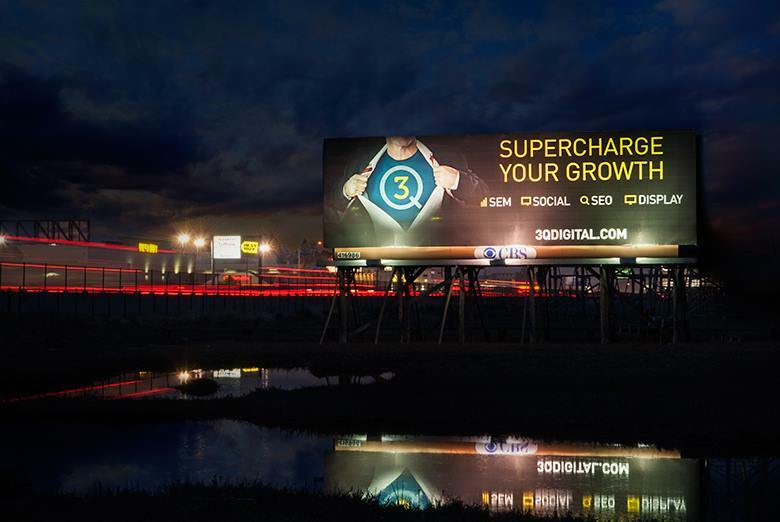 Enter my good friends at 3Q Digital, the same digital marketing agency that hosted the incomparable 3Q Digital Growth Summit. In the must-read whitepaper of 2016, 3Q Digital’s Director of Social, Brad O’Brien, drops 19 pages of pure knowledge on Facebook Advertising. I’m thrilled to share 3Q Digital’s Complete Guide To Facebook Advertising. Second, my top findings. I took many insights away from 3Q Digital’s guide, with the following being my favorites. Brad goes into depth on Facebook tracking changes happening later in 2016. Learn how you can set things up correctly, right now, so you avoid changes to your tracking later this year. There are so many audience-targeting opportunities on Facebook, each with its own strategy. Learn all about custom audiences, website custom audiences, lookalike audiences, audiences by seasonality and customer LTV, and audiences based on interests, behaviors, and demographics. That’s a lot of audiences! On page 11, Brad includes some incredibly helpful bidding strategy tables that I recommend printing out. With so many different bidding options available, Brad makes your strategic path easy with his decision tree. On page 15, 3Q Digital includes some wonderful creative tips, a true must-read. At the end of the day, Facebook advertising is only as successful as your creative. I personally took a few creative ideas away from this page. 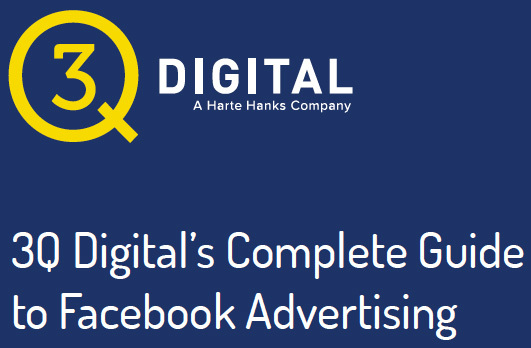 As always, 3Q Digital’s Complete Guide To Facebook Advertising is free. Download and read this guide today, and raise your Facebook advertising game to the next level. Thanks, Brad and 3Q Digital for the truly outstanding guide. If you’re looking for a marketing agency to help with your digital marketing, I highly recommend 3Q Digital. They are Silicon Valley’s agency, and truly outstanding. They are also personal friends of mine of many years, and a team I am constantly learning from. Did you notice that I redesigned my blog just a few months ago? In addition to an overall facelift, I wanted to take a mobile-first, responsive design approach. So far, the results of my redesign are great, both from a quantitative/data perspective and a qualitative one too. I hope you noticed and like it too! Mobile design and optimization are top-of-mind for PPC Ian in everything I do. Whether we’re talking about websites, landing pages, or even marketing creative, it’s all about mobile. When it comes to mobile marketing and mobile design, I’m always learning by testing, sharing strategies with others in the industry, and reading great whitepapers. 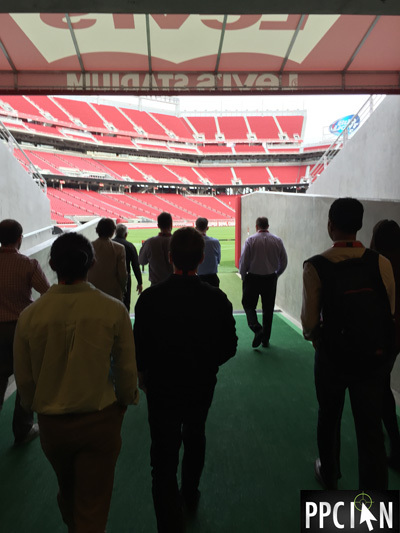 I am absolutely thrilled to share with you a free guide from my good friends at 3Q Digital (yes, the amazing agency that just hosted their Digital Marketing Summit at Levi’s Stadium). Today, I’m going to review 3Q Digital’s Mobile Optimization: Reflect User Intent In Site Design. Next, 3Q’s guide transitions into four mobile mistakes. Each mistake contains great detail and great examples of companies making the mistakes, and also those gracefully avoiding the mistakes. 3Q is careful to not only illustrate the mistakes in great detail (with screenshots and analysis), but also solutions with equally clear examples and insights. The guide will help you visualize your own strategy, avoid these mistakes, and turn industry mistakes into opportunities for your business. 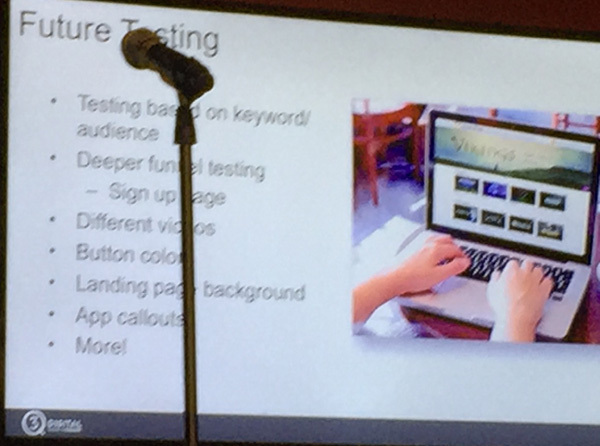 My favorite mistake would be Mobile Mistake #3: Not reflecting user device mentality in funnel position. This one really resonated with me because the mobile-first approach is not just about optimizing your homepage. It’s about optimizing every single possible mobile experience with your brand, both on-site and off. These days, the best marketers are segmenting their consumers to a very granular level, a level where it’s almost like one-to-one marketing. Every single personalized experience needs to have a mobile-first approach. I was especially impressed that Craig Weinberg, VP of Mobile Strategy at 3Q Digital co-authored this whitepaper with Dylan Dullea from Method Hill. Craig just spoke at the 3Q Digital Summit. In fact, you will find knowledge from Craig and team in my Insights From The 3Q Digital Growth Summit. 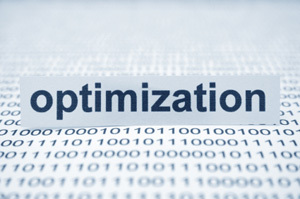 I highly recommend downloading 3Q Digital’s Mobile Optimization Guide. It’s free and packed with knowledge that is sure to transform your own mobile strategy. Thanks 3Q for another amazing guide! 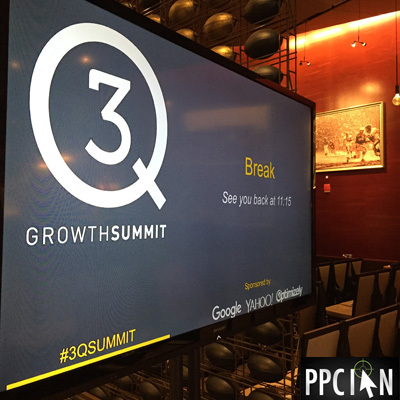 I’m a huge fan of digital marketing conferences, and just attended the incomparable 3Q Digital Growth Summit last week. There are two main benefits of conferences: The amazing networking (covered in my last post) and actionable insights. Today, I’m thrilled to share my extensive notes, insights, and takeaways from the conference. I took a good 9-pages of notes at the conference, and am including the top highlights below. When you’re done reading, don’t forget to head on over to 3Q Digital, and make sure to check out the 3Q Blog. Going beyond SEM, social, etc. What does all of this mean for agencies? Why do clients need this type of consultative work in our space? How much will this strategic work cost? 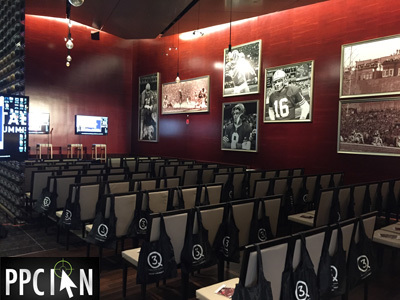 Yesterday, I had the great fortune to attend one of the best digital marketing conferences of my life, 3Q Digital Growth Summit at Levi’s Stadium. This conference was so good that I’m going to recap my experience in two posts. Today’s goes through the experience side of things: the people, the networking, the place, the wonderful day. My next post will go through the knowledge side of things: the lessons, the insights, the speakers, and the takeaways. 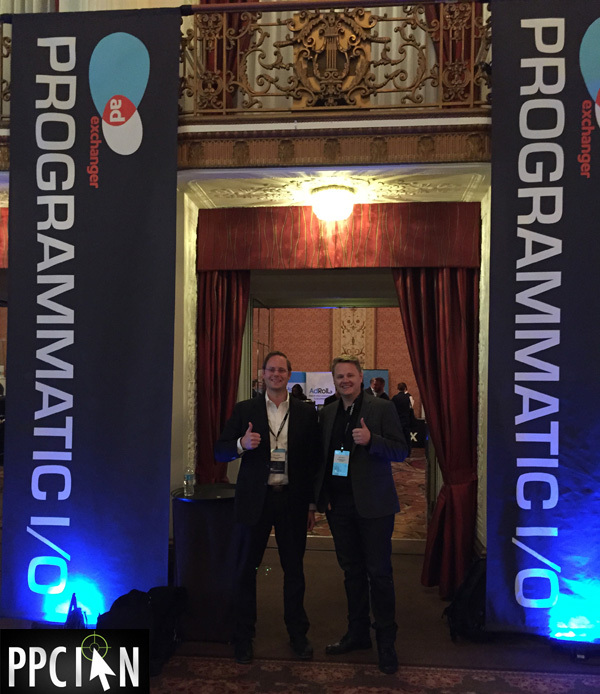 The best conferences marry the experience and the knowledge, and this is exactly what 3Q Digital did at their landmark conference. 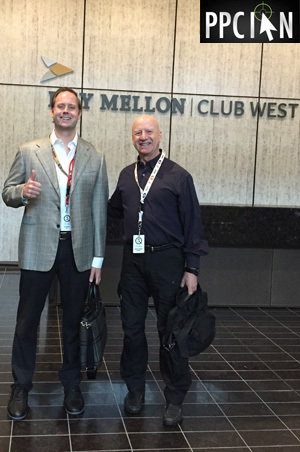 To the right, is a picture of yours truly, David Rodnitzky (CEO of 3Q Digital), and my good friend Donald Landwirth. Spending time with some of the top thought leaders and executives in the technology space is what 3Q Digital Growth Summit 2015 was all about! Conferences are great places to network and make new friends. They are also great opportunities to reconnect with old friends. If you’ve been reading PPC Ian for a long time, you have heard me reiterate this point time and time again. Business is not about vendors and business partners. It’s about friends. Turn business partners into friends. (And, don’t even think about using the word "vendors". It’s just so impersonal and drives me nuts.) Life is too short and we could all use more friends, leverage your profession to make new ones. To the right is a picture of PPC Ian and Donald Landwirth. Don is a good friend of mine, a serial entrepreneur and C-level executive. 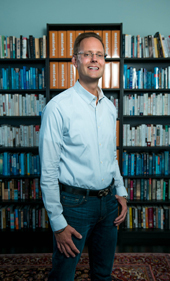 I had the honor of working with Don at Inflection, one of the hottest Silicon Valley Startups. 3Q Digital is growing quickly (and has been for many years). After all, they are the digital agency of choice in Silicon Valley. They are known for helping companies grow into unicorns. When it comes to digital marketing, 3Q Digital is an agency that I personally recommend to friends time and time again. Why? They know what they are doing, and have some of the most amazing leaders and employees I have had the honor of knowing. They manage digital marketing the way I personally manage digital marketing. Being such an amazing company, I expected nothing but the best at their Growth Summit. 3Q Digital did not disappoint. They chose to host their conference at brand new Levi’s Stadium in Santa Clara, CA, home of the 49ers and upcoming Superbowl 50. 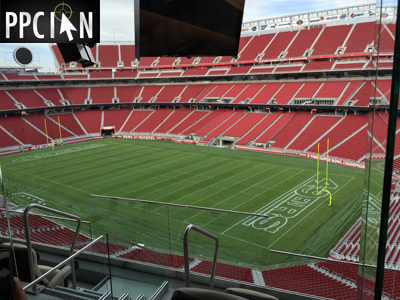 Levi’s Stadium, especially the BNY Mellon Club West conference center where they hosted the event, is among the nicest venues I have visited for a digital marketing conference. 3Q and their amazing sponsors (Google, Yahoo!, and Optimizely) went all out. They truly care about their clients, partners, and friends, and wanted to show them a truly valuable and fun day! Parking was incredibly easy. We basically parked right next to the front door, walked right in, and were greeted by the friendly 3Q Digital team. Upon getting our badges, we walked into the BNY Mellon Club West. 3Q Digital had an amazing breakfast ready to go. All types of food, drinks, and coffee made my day. This was a day to definitely bring your appetite. We got there a bit early, so I took this time to just walk around and take in the venue. I got a ton of pictures, some of which are featured throughout this post. Make sure to check out the pictures below. The venue had some glass doors which open right on the field, so I took the opportunity to walk out there for some fresh air. 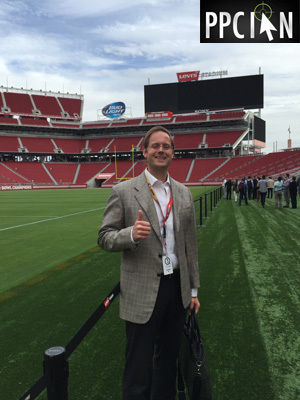 The friendly Levi’s Stadium crew took some pictures of yours truly on the field (thanks, guys!). Very quickly, the event became packed. Nobody wanted to miss this great event, and I ran into so many great friends. Also, I made a ton of new ones! 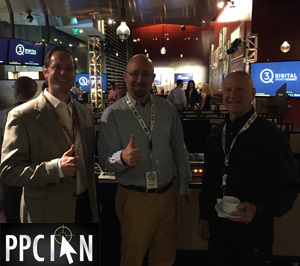 I was really happy that Don and I were able to snap a quick photo with David Rodnitzky, CEO of 3Q Digital, right before the conference (featured at the top of this post). Next, we grabbed front row seats for the event. David kicked the event off with some incredible insights about the attendees. All of the speakers were top-notch. Not going to go into the content in this post, since I’m going to write another full post with the takeaways (stay tuned for my next post)! After a few speakers, lunch time showed up before I even knew it! The venue had a kitchen right there, with expert chefs preparing delicious cuisine right in front of our eyes. Lunch was just great! Also worth mentioning, 3Q Digital provided great snacks and drinks throughout the day. They made sure their guests felt at home and fully nourished. I really enjoyed lunch (and the breaks) because I met so many new people, the networking was simply incredible. After lunch, we had a few more speakers, and then my favorite: Round table discussions. I personally went to the mobile roundtable and power networked with the top mobile marketers in the industry. The future is all about mobile and it was so incredible to make these connections. After a few more speakers, it was time for our stadium tour. 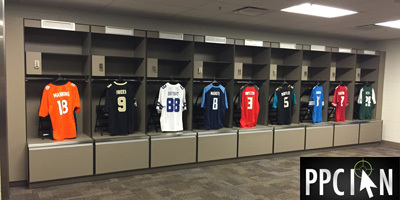 I truly enjoyed the stadium tour, and have a few pictures to share below. Closing out the day, 3Q Digital provided an open bar and amazing hors d’oeuvres. While the last speaker was presenting, they started cooking sliders. The smell of the cooking made everyone so ready for the sliders, and we were not disappointed. During happy hour, it was again a time of power networking. I wanted to take this opportunity to sincerely thank David Rodnitzky, Hillary Read, and 3Q Digital for the amazing summit. It was an event to remember, one of the best I have attended. As a side note, I also wanted to encourage you to visit the 3Q Digital Blog. 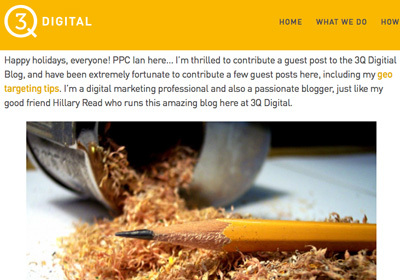 I guest post on the 3Q Digital Blog from time-to-time and it’s such a super resource. Make sure to check out my next post, covering all of my notes and insights from the esteemed speakers at the conference. With 2015 approaching, it’s the ideal time to think about your team. I’m talking about your internal team, and also your agency team. Do you manage a complex, multi-channel digital marketing program? When I first started in this field, our industry was organized in more of a channel-specific manner. These days, however, it’s all about the multi-channel approach. And, this is where team comes in. To manage an effective multi-channel digital marketing program, you need to assemble a great team, the best team ever! I’m a huge fan of agencies. 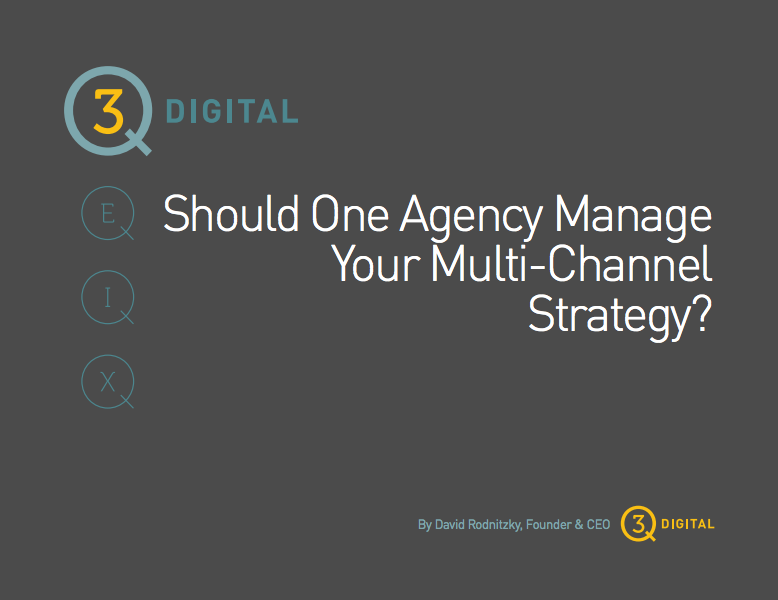 One of my favorites is 3Q Digital, the authors of today’s whitepaper: Should One Agency Manage Your Multi-Channel Strategy? I’m thrilled to share today’s whitepaper because it presents all the right frameworks to think about your staffing approach in 2015. It’s unbiased, covers all of the viewpoints, and includes 13-pages of helpful knowledge around choosing the right internal employees and/or agency(ies) for your digital strategy. Best yet, it’s written by David Rodnitzky, CEO of 3Q Digital. How to think about the different digital channels. Which channels build brand, which drive direct response, which do both? Before selecting your team, first think about the channels that are important to your business. How to determine if online advertising is truly core to your business. Assessing how critical digital advertising is to your business will determine if you build your team in-house, go with an agency, or do both. Pros and cons of agencies. I really thought this was cool. Even though the whitepaper is written by a digital agency, it’s truly unbiased and shares all of the pros and cons. Before adopting any approach, it’s good to have honest expectations. What are the three types of agencies and how do they differ? David covers the three types of agencies, and the pros and cons of each. Again, I truly appreciated the unbiased and honest approach. David shares his "deep dive" approach to selecting an agency. Once you’ve crafted your overall team and agency strategy, you need to audition multiple agencies. David’s framework provides a great way to ensure you pick the right agency for you. I hope this whitepaper helps shape your strategy heading into 2015. Now is the time to think about your team, and build your team heading into the new year. It’s the weekend! I hope you’re enjoying the nice spring weather and taking it easy. As Customer Acquisition professionals, we work so incredibly hard. It’s time to take it a little easy. That said, our market never closes. It’s just like Wall Street with no closing bell. I always enjoy catching up on reading during the weekends. Whether it’s one of my favorite personal finance blogs or the latest digital marketing whitepaper, the weekend offers a great time to learn and expand my knowledge. Another one of my favorite weekend activities: Giving back. Whether it’s donating money to charity, running in a charity 5k, writing an informative blog post, or simply helping someone out, it’s all about giving back. The more you give, the more you get. And, it’s just the right thing to do. Today, I wanted to share some fun weekend reading with you, my recent guest post on the 3Q Digital Blog about Great Ways Digital Marketers Can Give Back. We’re fortunate in the world of digital marketing. We’re in a position to truly help others, both in our industry and across the world. Check out some unique ways in which you can give back as a digital marketer. Thanks for reading, and I want to leave you with one of the coolest pictures ever. Below is 3Q’s billboard on 101 right here in Silicon Valley. 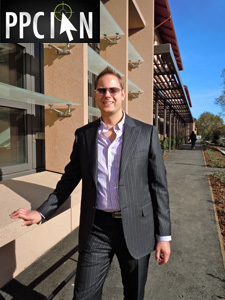 3Q Digital is the Bay Area’s digital marketing agency. As a Customer Acquisition professional, I’m obsessed with both online and offline marketing. As such, I’m particularly intrigued by 3Q’s billboard strategy. The weekend is here! That means it’s a super time to read your favorite blogs and catch up on the latest trends. It’s also a great time to write a few blog posts, if you’re a blogger. Today, I wanted to share one of my absolute favorite digital marketing blogs, the 3Q Digital Blog. In particular, I wanted to share a recent guest post that I wrote on the 3Q Blog, The Company Blog – Why You Should Participate. I’m passionate about blogging. It’s an amazing way to practice your writing skills (especially important for marketers), learn WordPress, experiment with SEO, and so much more. It’s also a tremendous responsibility, it’s like running your own mini-business. Want to gain some of the benefits of blogging without taking on the full responsibility of running your own? Want to do this while also growing your career and positioning yourself as a leader at your company? I suggest writing a guest post or two on your employer’s company blog, the topic of my guest post on the 3Q Blog. Learn all about the best ways to ask, the benefits of doing so, what you’ll learn, and why this matters to your company. Wishing you a super weekend, and thanks for reading! I’m an incredible fan of remarketing (also known as retargeting). Those who have already visited your site are incredibly valuable. Perhaps they started researching your product, but were not ready to purchase. Perhaps they want to buy your product, but did not have their credit card ready. Perhaps they completed a transaction on your site, and are looking forward to coming back and buying more. Whatever the reason, it’s absolutely fundamental to your digital marketing success (and overall company success) to engage (and provide value to) those who have already visited your website. It’s all about targeted display, search, and even social media remarketing campaigns. I’m also an incredible fan of 3Q Digital, Silicon Valley’s Digital Marketing Agency. These guys are the experts, and deliver amazing results for their clients. They work with many of the most successful startups and brands in the Silicon Valley. They are good people, and add so much value to our industry. 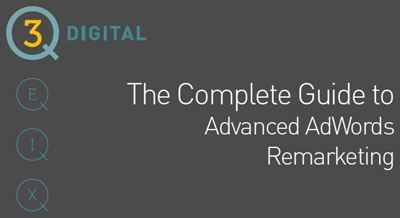 To kick off the new year, I wanted to share with you a free, new eBook from 3Q Digital: The Complete Guide to Advanced AdWords Remarketing. 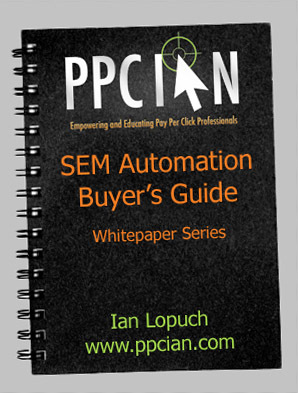 If you’ve been reading PPC Ian for a while, you know I’m a big fan of free eBooks and whitepapers. I like to read as many as possible, and always post my favorites here. This new eBook from 3Q Digital is definitely one of my favorites. They not only cover the basics, but also spend 15 pages going into advanced AdWords remarketing topics such as Remarketing Lists for Search (RLSA), Search Companion Remarketing, Similar Users Remarketing, YouTube Remarketing, and Using Google Analytics for Remarketing. 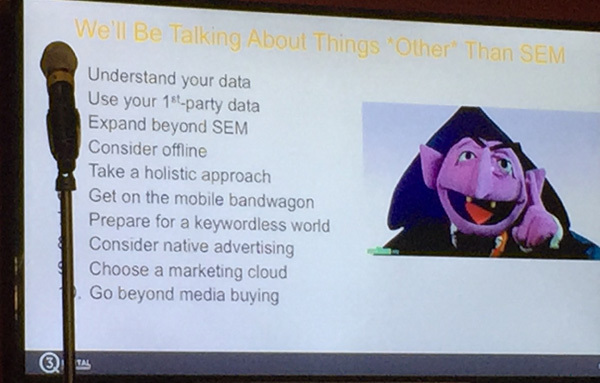 I especially enjoyed the section on Remarketing Lists for Search and wrote down a new idea I’ll be sure to try. Thanks 3Q Digital for starting off the new year with an amazing new eBook! Readers, simply click banner below to visit 3Q and download your free copy. On the landing page, make sure to choose the remarketing whitepaper and any others that interest you (3Q offers an extensive library of whitepapers)! Ian: David, congratulations on your big announcement! David: Thanks Ian. It’s been a long journey to get to this point and I’m excited it’s finally arrived! Ian: How did you decide to re-brand your company? David: Over the last couple of years our clients have increasingly asked us to do more than “just SEM” for them. The most frequent requests we got involved SEO, Facebook PPC, display advertising, and creative work. We responded to these needs by building out dedicated teams to service each of these areas. Whereas three years ago 100% of our spend was SEM, today almost 20% is a combination of Facebook and display, plus we have about 10% of our customers also using us to manage their SEO. 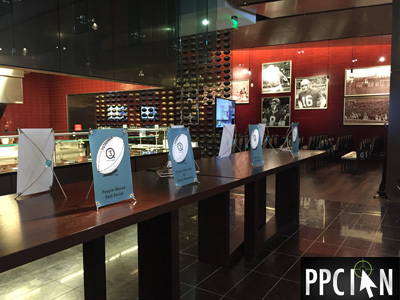 Our name – PPC Associates – implies that all we do is PPC (or SEM, same difference!). While we still see SEM as our core offering, we now have many people on the team that focus on other online marketing services, so it just made sense to come up with a new name that wasn’t so PPC-centric! 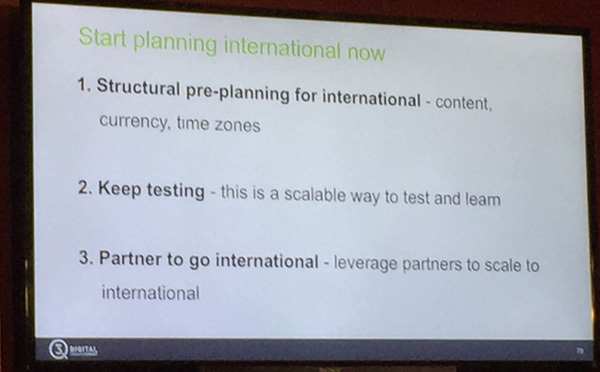 Ian: What’s in the future for 3Q Digital? 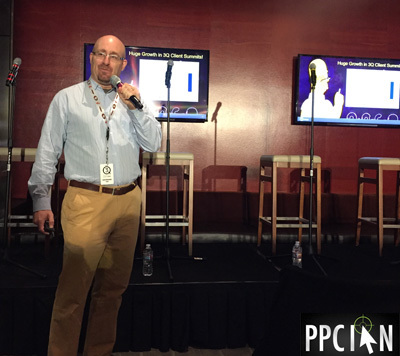 David: In the short term, we want to just get better at what we are already doing – SEM, SEO, Facebook PPC and display. In the long-term, we are continuing to evaluate different marketing channels that are complementary to our existing channels. If we think we can do an awesome job of servicing clients in these new channels – and we hear from clients that they need help in these areas – we would certainly consider expanding into new areas. Ian: As a marketer, it must have been so much fun thinking through your branding strategy. How did you arrive at your new brand? David: We actually had an internal contest where we asked everyone on the team to submit recommendations for the new name. We got about 100 responses and then we narrowed those 100 down to 17 semi-finalists. We had a management team vote on the 17 finalists and ended up with two finalists. We submitted the two finalists back to the greater team to vote and we went with the one that got the most votes. To give you a sense of how much we believe in democracy, the name I voted for lost! Ian: David, huge thank you for the mini interview. As always, it’s such a pleasure connecting with one of the top marketers ever. I have so much respect for you, your amazing team, and your incredible business. You are an inspiration in our industry! David: Thanks Ian. 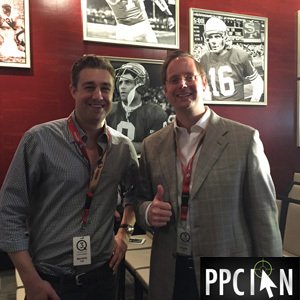 We are big fans of you and PPC Ian. If you decide to change your name from PPC Ian to something more generic, let me know, I can help! That’s it for today, everyone. Make sure to head on over to the 3Q Digital website, and make sure to check out their amazing blog.